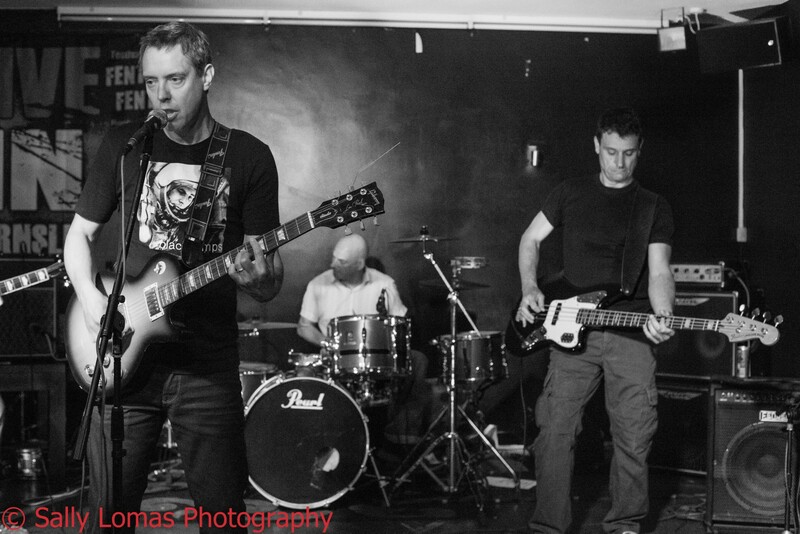 Although The Black Lamps have been together for around ten years now – initially under the moniker Battling Tops – its members have played a vital part in their local music scene for the best part of thirty-five years. One look at their biography and you’ll see a South Yorkshire rock family tree claiming lineage in Barnsley’s first ever punk band, a ton of post-punk groups, and various names in the fields of gothic, indie and alternative rock. And then adding even more clout are each members individual résumés, which includes the world of northern soul, international comic books and avant-garde electronica. They have played in some of the most influential underground post-punk bands of the 1980s; Danse Society, Party Day, The Second Coming to name but a few. They have more than paid their dues and easily deserve a mention in the index of the British Post-Punk Music book. 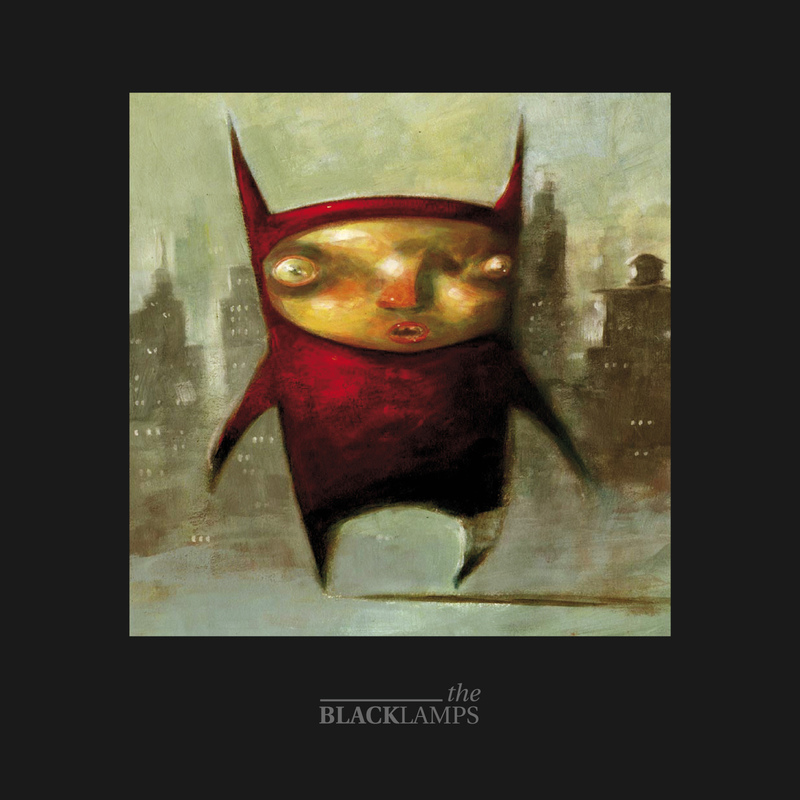 Here at home, The Black Lamps and their music are loved and respected in equal measure and we never minded that this, their first album, took nearly a decade to land. The band are perfectionists and use a ‘brutal quality assurance programme’. They won’t record a song or play a gig unless they know it will be as good as it needs to be. When reviewing this album, it is all too easy to reference (and I will be) bands like The Cure or Joy Division. However, what you and I need to know is that when you hear that rumble of bass or drums, and it reminds you of Steve Severin or Stephen Morris, remember that these guys were there and very much part of the fabric of that early 80s scene. That heritage shows in the music. These are their sounds as much as they are The Cure’s or New Order’s. And with this desperate plea of respect from an ardent fan over, I of course have to make those references and comparisons, so here goes. The Black Lamps eponymous debut album opens with The Archivist, and it sets the tone for the rest of the album – subtle and elegant Post-Punk fused, Alternative Rock. This song and those that follow are awash in nostalgia, familiar tones and an overriding feeling of optimistic melancholy. Bass-lines fall into a synthetic wash and in the lyric “I can show you how you feel… said the archivist”, you hear a band who know how to get into your head and stay there. Second song, Casa Disco (also the name of a long-gone and much missed record shop of the 80’s and 90’s), is as familiar to me now as any song by any other bands I care to mention in this review. It’s lyrics are snippets and scrap-book fragments; much like the distant memories they suggest standing alone in the record shop in a cold winter. It sounds like it should be sad, but it is anything but. Colour 8’s funeral procession drum beat is akin to that in Atmosphere or In A Lonely Place, and Liam’s vocals somehow manage to sound ethereal, yet ‘every-man’ – sitting somewhere between Bernard Sumner and Nick Drake. I don’t know what The Smoking Party is about but it certainly reminds me of laying on the grass in my local park at eighteen, drinking Mad Dog 20/20 and chain-smoking until the sun gets lost and the only thing still keeping me warm is that bad drink from the offy. This is what this music does to me! At the album’s midway point is Awkward, a small song and kitchen-sink drama, with a gloriously big middle section that grabs you and hits you with a whiff of early Arcade Fire. And then there’s Planets (first song on side two if you have the vinyl) and it, just like The Archivist, opens with the sounds of space and distant, disconnected voices. There are elements here that remind me not only of The Cure, but also of The Unforgettable Fire, which is probably more to do with Brian Eno, than Bono. Its twinkle of the guitar, diarist mutterings and the line “I’ll show you the hole in my head” makes for something that sounds like the other half of the conversation that was started with The Archivist. Are There No Surprises? Is the song that connects with me the least here and I think it is down to the vocals; the muffled and distant… too distant to connect with me. But still, this song is still musically and lyrically on par with all that came before it. Following is Gene Pool, which is laid back, mellow and recalls My Vitriol’s quieter moments. A nice breather before we peg it for the finish. It’s clear that a lot of time and love has gone into these songs. Each one is perfectly crafted and most come in at under four and half minutes. The band know how to economise with both time and lyrics, and it is all the better for it. Nothing outstays its welcome and you’ll always get your money’s worth in a set-list. It would be easy for musicians this talented to overindulge and wig out, throwing in solos when they’re not needed. Not The Black Lamps. It’s all about the songs. I get a somewhat similar feeling from this album as I do when I listen to The Cure’s Bloodflowers (minus some of the song length) and the production reminds me of a number of albums produced by Eno or Flood, which is a massive credit to band, who produced and mixed the album themselves, with Tom Woodhead (¡Forward, Russia!) mastering. I’m not sure what happens next for The Black Lamps, but chance is they’ll play two shows this year if we’re lucky and tease with the notion that they might release more new song, that won’t appear for another five years. Whatever does happen, search this band out. Listen to this album and beg them to come play your town. The Black Lamps debut album is available on various formats via Of National Importance Records , on itunes, or if you are a Barnsley reader, from Debut Records on The Arcade. The Black Lamps can be found on facebook, twitter, soundcloud or their official website www.theblacklamps.co.uk. 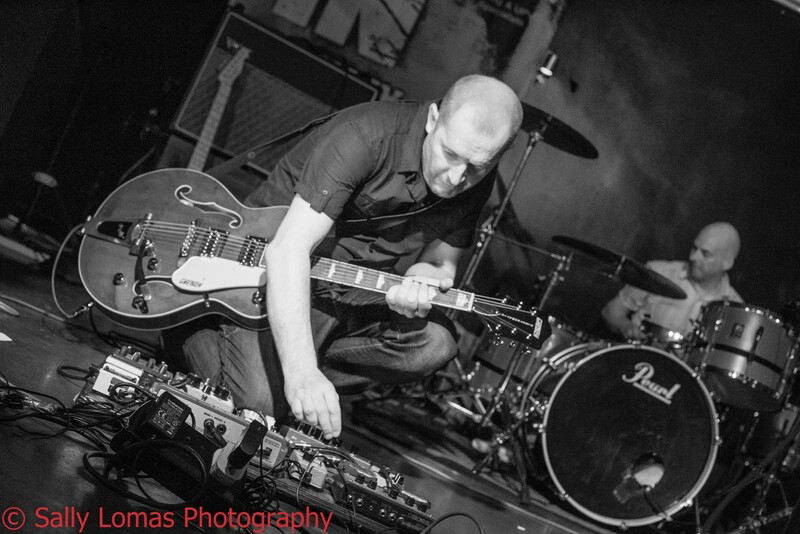 Check out a previous interview with The Black Lamps guitarist Lyndon Scarfe here, where is discusses the band’s history, their extra-curricular activities and the pros and cons of making music in an internet age.